There are restrictions on how we can use and share copyrighted material. To learn more about copyright, educational exceptions, and how they can affect your instruction, visit our copyright guide, linked above. Material available through the library is usually protected by copyright but licensed for your use. While we pay for access to this material, because it is still protected by copyright law there are limitations on those uses. To make material available to your students and respect intellectual property, we have some best practices for you to follow when using library material in your classes. Whenever possible, we want to avoid making copies of material protected by copyright law. Downloading a .pdf of an article and then uploading it to Blackboard is making a copy- and depending on the material, this could be infringing on the item's copyright protections. Some people incorrectly believe that they can upload copies of material protected by copyright into Blackboard board because Blackboard is password protected. While uploading copies to Blackboard makes student access and instructor organization easier, there can be issues from a legal perspective, and we discourage this practice. However, supplying your students with a link to material in library databases doesn't come with those same risks. You're pointing your students to where they, as licensed users, can access the material. The only copies made are those specifically licensed through the database. This is a good rule of thumb for content on the internet, too. Material available on the internet may be protected by copyright, but you can always link to it. Linking to items in library databases is slightly different than linking to other material on the web. Unlike most sites on the web, databases use URLs in your browser's address bar that are generated for each browsing session and expire quickly. The URL that appears in your address bar may work for a few minutes, hours, or even days, but isn't a good way to save an article for future reference or to direct your students to material you want them to read. Instead look for a Permalink. Permalinks, Permanent URLs, Stable URLs or Durable links are addresses that will continue to bring users back to content consistently in the future. We suggest supplying your students with a citation to the item you want them to read that includes the permalink and notes the database where you found the item. 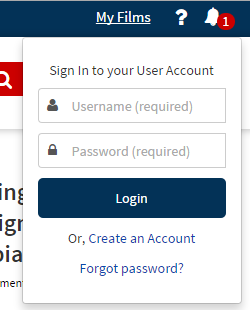 This way, students can use the link to the item, log-in with their own credentials, and access the protected material in a way that complies with both copyright law and our licenses. Should the link not work, students also have all the information they need to find the full text of the item in Grafton's resources by searching our databases. Clark, John A. "Social Justice, Education and Schooling: Some Philosophical Issues." British Journal of Educational Studies, vol. 54, no. 3, 2006, pp. 272-287, JSTOR, proxy.marybaldwin.edu:2069/stable/4122421. Gallor, S. (2017). A social justice approach to undergraduate psychology education: Building cultural diversity, inclusion, and sensitivity into teaching, research, and service. 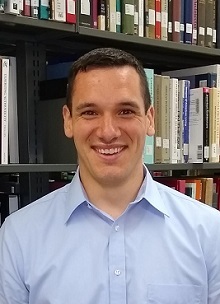 Psi Chi Journal of Psychological Research, 22(4), 254-257. Retrieved from Academic Search Complete, http://proxy.marybaldwin.edu:2048/login?url=http://search.ebscohost.com/login.aspx?direct=true&db=a9h&AN=127678604&site=ehost-live. Grafton is excited to offer access to multiple video databases for your classroom use. You can show your students one or more segments in class or provide a link through Blackboard for them to watch on their own time. When providing students with an embedded video or link in Blackboard, it is a good practice to also give them the name of the video and the database where it can be found. This way, in case the link or embedded video doesn't work, students can navigate to the video on their own. If you have any problems adding content to your Blackboard classes, please contact a librarian. We're happy to help! Films on Demand boasts almost twenty thousand titles on a wide variety of subjects. It is important to note that if you use the URL in your address bar to link your students to a film of interest in Films on Demand, your students will be met instead with a confusing log-in page to which they do not have credentials. Avoid this by using the Title URL located below the video player. These permanent or stable URLs should reliably link your students to the material you wish for them to see. It's always a good idea to provide your students with the title of the video you would like them to watch so that if they do encounter difficulties they can search Films on Demand from the resources on the library website. You can also embed Films on Demand videos into your electronic course material by copying and pasting the code exposed when you click Embed under the video player. All titles are broken up into segments. Segments can be helpful if you have a specific portion of a video you would like to share with your class, but you do not want to waste valuable class time with the minutes of material prior to the portion you would like your students to see. 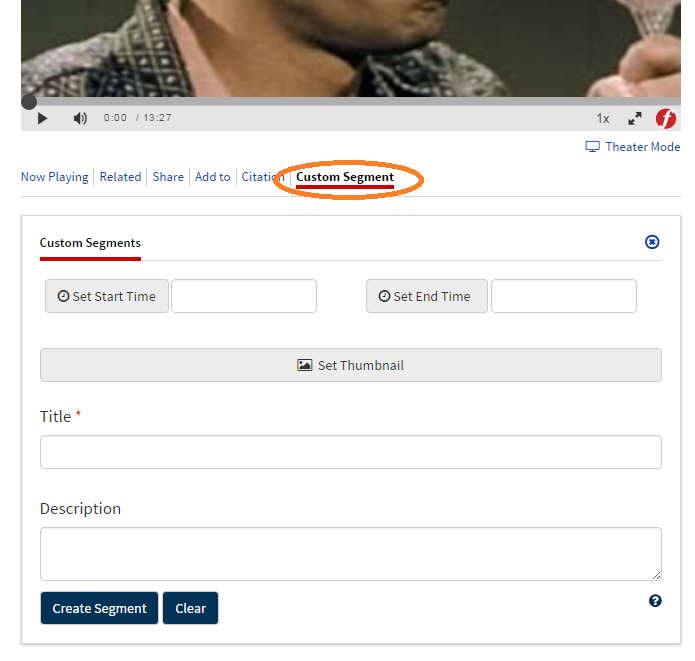 Films on Demand also allows you to create custom segments. Custom segments are great for when your desired information is much smaller than the premade segments, or crosses multiple segments. 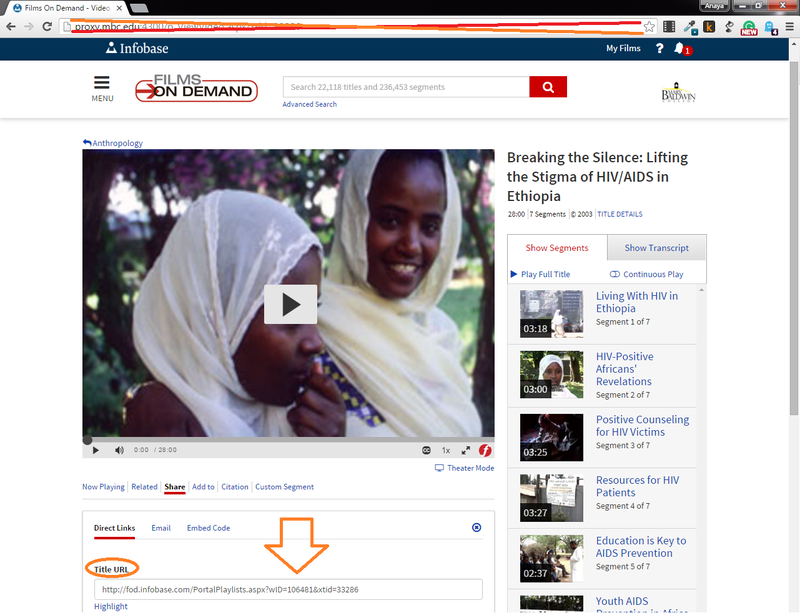 To create a custom segment you must create an account in Films on Demand. This is free for you as a member of the Mary Baldwin Community. Find the My Films link in the upper right hand corner of your screen and use this drop down menu to create an account or log-in. Once you have created an account, navigate to the video you would like to create a custom segment of, then click the Custom Segment button under the video viewer and set the start and end times of your custom segment. You may need to refresh your page, but after you specify the beginning and end of your custom segment and click Create Segment, it should appear in the segment box to the right under custom segments. Now, whenever you are logged in and viewing the video where you created your custom segment, it will be waiting for you. The Streaming collection of Media Education Foundations videos through Kanopy gives you instant access to some of MEF's most popular titles. Find the video you would like to share with your students and copy and paste the URL in the address bar at the top of your screen into an e-mail or Blackboard for your students. You can also embed an MEF video into Blackboard or other electronic course material by copying and pasting the code revealed when you click Embed under your video of choice. Kanopy Streaming Description of this database. The Library manages print reserves, primarily books from the library's collection or faculty copies and DVDs, while e-reserves are managed by faculty through Blackboard. To place an item on reserve, please contact Grafton's Access Services Coordinator or stop by the front desk of the library. Please allow at least 48 hours for items to be processed.